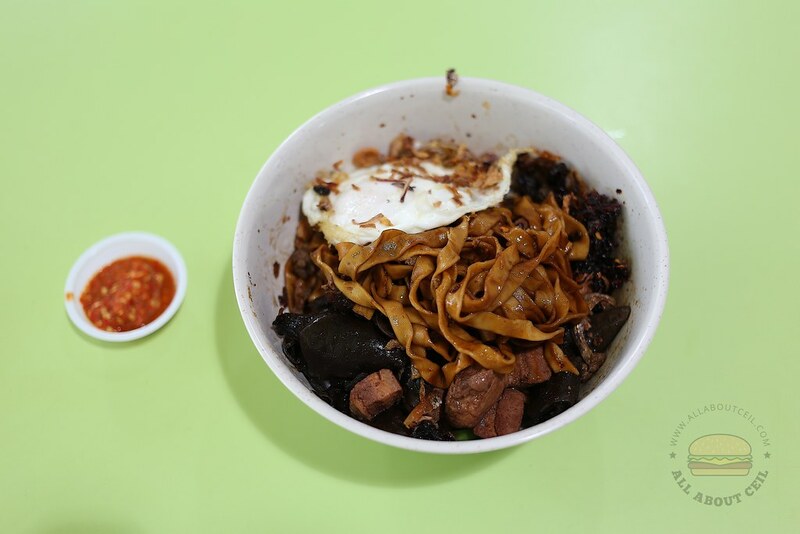 Vivian Leong, 43, started her stall in October 2015 in a coffee shop at Holland Close, serving Hakka-style ban mian. Ban Mian is a common noodle dish consisting of handmade noodles, served dry or in soup. She is a single mother with a teenage daughter. And, she decided to turn her passion for cooking into reality and making a living out of it, this has given her hope. Life has never been a bed of roses for her and at a certain point, she even contemplated the thought of ending her own life when she was left feeling depressed and abandoned after an unwanted divorce in 2012. She was jobless and penniless then but the pleading of her daughter brought her to her senses. She started working as a Kitchen Assistant before eventually opened her own stall after she met a kind owner of a coffee shop that offered her a stall with no deposit. 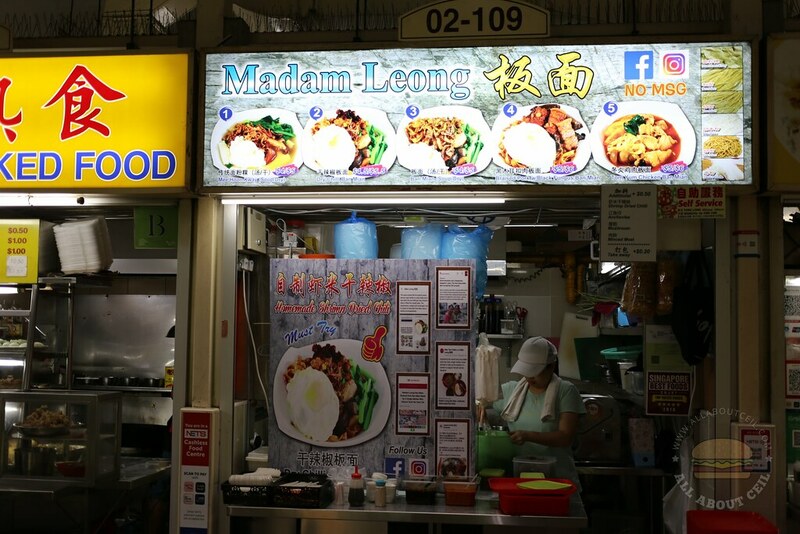 She has recently moved her stall to Amoy Street Food Centre about 2 weeks ago. I was greeted by the smiley Vivian. She actually looks much younger than her age. She asked, "What do you want to eat?" Her bubbliness was quite infectious. I pointed to the picture of the Dry Chilli Ban Mian with a "Must Try" printed on it and said, "This. Can I add braised pork to it?" She said, "Can but not worth it." I asked, "Why?" She replied, "You have to pay an extra $2." I decided to order it. When she just started, there were only the soup and the dry ban mian but there are Mee Hoon Kueh (dry/soup) ($4/$5), Dry Chilli Ban Mian ($4.5/$5.50), Ban Mian ($4/$5), Braised Pork with Black Fungus ($5/$6) and Tom Yum Chicken Ban Mian ($5/$6) on the menu now. While she was cooking, I asked, "Why did you move from Holland Close to here? The coffee shop is quite quiet, right? I used to stay around there." I also asked, "The business is much better here?" She smiled and said, "Much better. The queue is really long during lunch." I asked, "Why did you decide to start a stall in that coffee shop?" She said, "I used to stay at that block." I asked, "Where did you move to?" She answered, "I moved to Clementi." I said, "Why you did not move the stall there? That food centre is always crowded." She replied, "The rental is not cheap." I was surprised and asked, "I thought the rental would be equally expensive in this food centre. The rental should be more than $3,000?" she nodded. I said, "It is not easy to be a hawker, right?" She smiled and replied, "I am used to it and that is why I am always happy every day." I told her, "You have added me on Facebook lately." She asked, "Oh, What is your name? I have added a few friends recently." When she served the ban mian, she said, "Hope you enjoy it. Thank you, Cecilia"
Vivian is originated from Kuala Lumpur, Malaysia and moved to Singapore after she got married. Her ban mian is towards the Malaysia style and is different from the others here. She did not even serve it with an egg when she just started and will only add it in upon request as it is not common for ban mian to serve with egg in Malaysia. She is using a traditional recipe that passed down her mother. She is hoping to share it by cooking for her customers. The noodles are made fresh daily with no MSG or preservatives added. She is still cooking with love and passion. When you do it with your heart, it just tasted different. 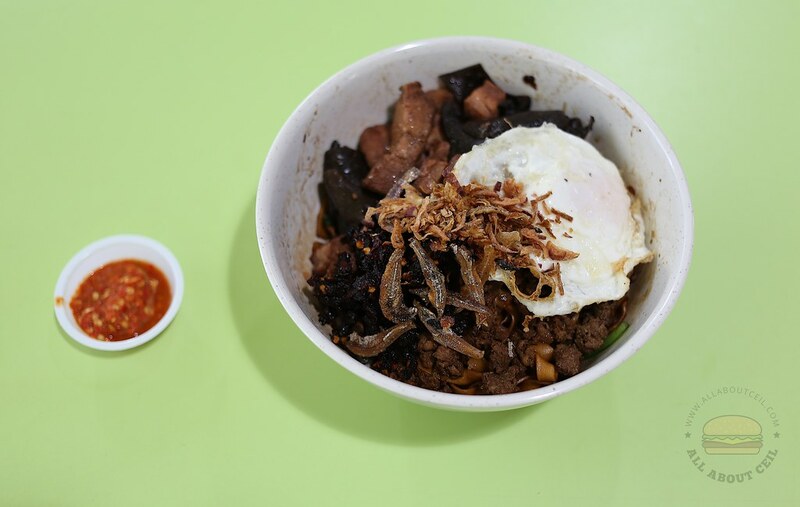 Each bowl of lovingly cooked ban mian consists of a few pieces of braised meat, mushrooms, minced meat with a poached egg then garnished with dried shallots and ikan bilis, tossed with the dark soya sauce and the homemade sambal belachan. It has a home-cooked taste and the ingredients tasted fresh, the noodles were cooked well to the right firmness and springiness. 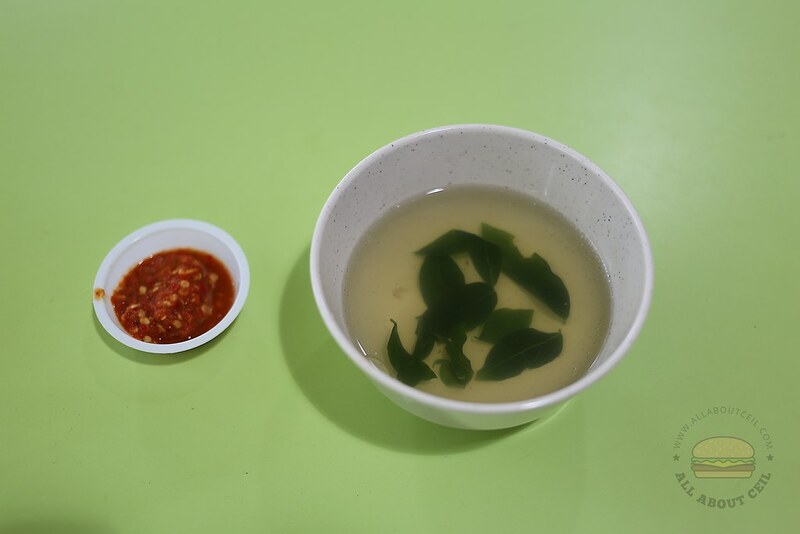 It was served along with the special homemade sambal belachan. 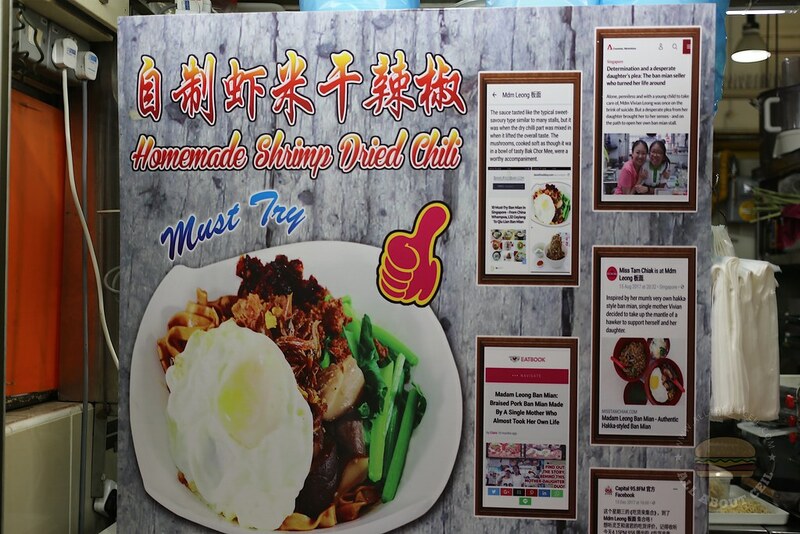 Go support and try her ban mian if you happen to be in this food centre.